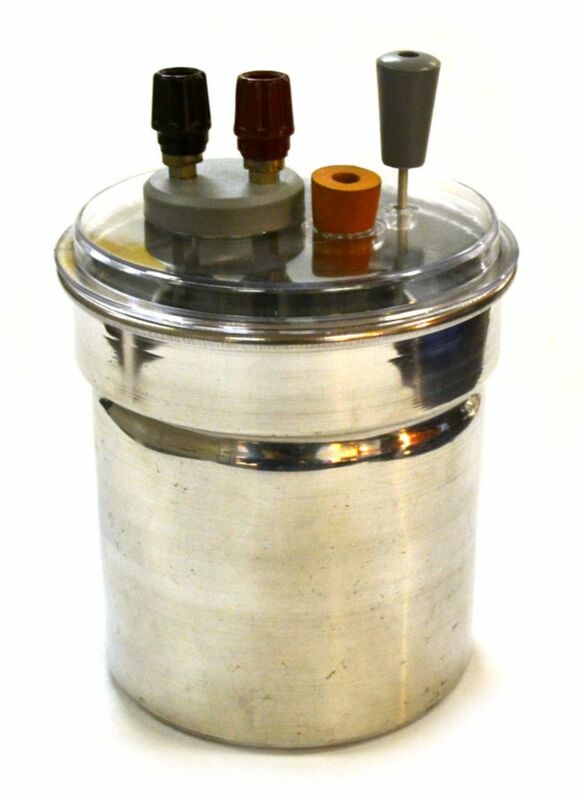 Superior quality double wall calorimeter with easily removable spring heating element. Operates on 3-6V DC at approximately 5 watts. It consists of an inner aluminum 150mL resevoir, aluminum outer, plastic insulator ring, and styrofoam lining to minimize heat loss. Lid accepts heating element, stirrer, and thermometer cork. Includes cover cap.